Linda Arends shares her story of caring for her mother with Alzheimer's. 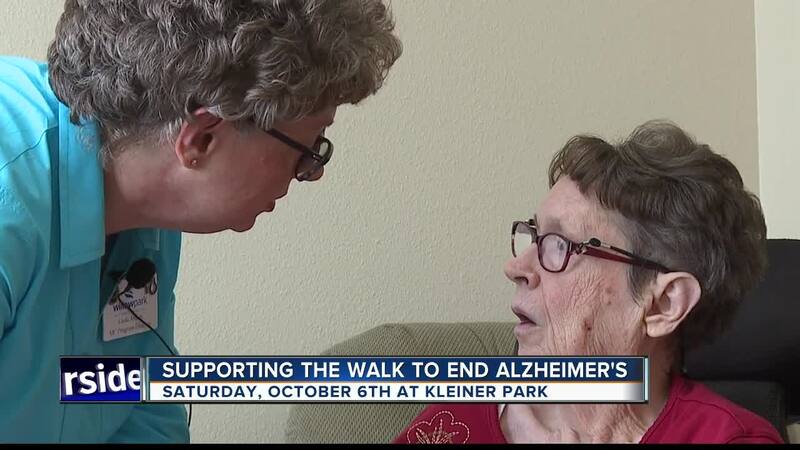 The Treasure Valley Walk to End Alzheimer's is coming up Saturday, October 6, 2018 at Kleiner Park in Meridian. Alzheimer's is a devastating disease that 5.7 million Americans live with every day. It takes love and support from family members to fight it, and you'll see lots of that at one local senior living center. "It's Linda Lou! Your peaches and cream baby." At Boise's Willow Park Senior Living, the love and bonding of mother and daughter. "I love you a bushel and a peck, and a hug around the neck." Linda Arends has spent the last seven years side by side with her mom, Eleanor Fitzgerald. Linda, works at Willow Park. She's the coordinator of the memory care program, where Eleanor lives. "Having her here, I have the best of both worlds. I really see her more now than when she lived with me, because I was going to work. My husband was able to work from home so he was always there with her," Arends said. At 84-years-old, Eleanor is in the late stage of the Alzheimer's. She was diagnosed 13 years ago, after a car accident. "She hit a car and left the scene of the accident. No one got hurt, but she left and the guy followed her home. Of course he called the police and then Mom called me and said, 'I was in this accident and there really wasn't that much damage, but the police are here and they want me to call you.' That was my first real big, woah. My mom would never leave the scene of an accident. Her car needed to be repaired so I said, 'Mom why don't you stay with me while your car is in the shop?' It was during that week period that I realized Mom needs more help than we thought," Arends said. Her official diagnosis was tough to hear. "I said, 'Mom your life will still continue.'" Eleanor was also a caregiver for her father with Alzheimer's. "For 10 years, 24/7 she took care of him, no breaks, she wouldn't even let me help," Arends said. Now, as Arends cares for her own mother, she reminds other families affected by the disease, they don't have to go through it alone. She's the leader of an Alzheimer's Association support group at Willow Park. "Because I'm still a caregiver, I come to that group needing the group too. I can share my perspective and even though I'm the professional and the facilitator, I can still learn from all the participants. I need the group as much as they do," Arends said. Her positive outlook is encouraging to all. "One of the sayings I always use with this disease process is, when you're given lemons, what do you do? You make lemonade. That's what I've felt with Alzheimer's, but I made lemonade, and it's good." Arends is the team captain for Willow Park's Walk to End Alzheimer's team . Memory care residents are auctioning off their handcrafted artwork to raise money. 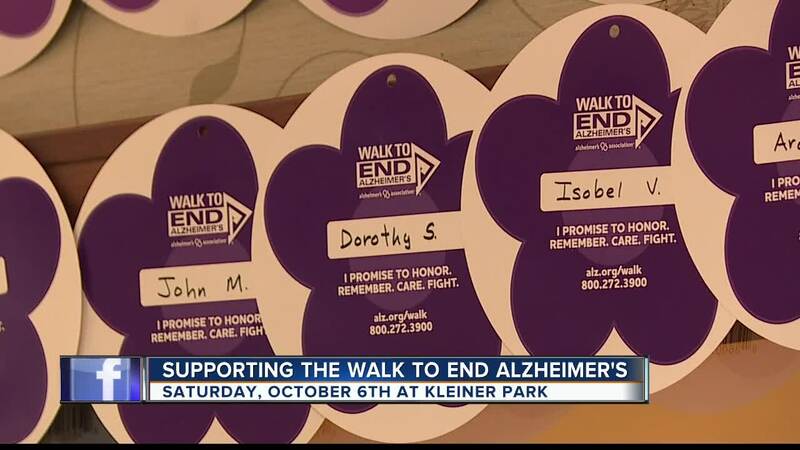 6 On Your Side is a proud sponsor of the Walk to End Alzheimer's. Join a team, help donate to the cause, and we'll see you at Kleiner Park in Meridian, Saturday, October 6, 2018. Registration starts at 10:00 a.m. For more information, visit www.alz.org/walk .